Control Solutions' i.Report VP3-2290 Global Remote Telemetry Unit is ideal for demanding cloud based remote alarm monitoring and data logging. It includes a 4G LTE cellular data modem built in. The VP3-2290 includes 12 hardwire sensor inputs which are universally configurable as analog, temperature (thermistor), or discrete/dry contact inputs. Two inputs have 30V range for battery monitoring. High speed pulse counting is provided on 2 inputs. The VP3-2290 also includes 8 discrete inputs and 2 discrete outputs. The VP3-2290 includes a Modbus RTU port which may operate in master or slave mode. The VP3-2290 also includes a CAN/J1939 port for applications such as engine monitoring. 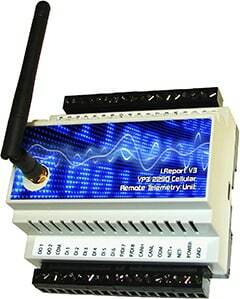 Control Solutions’ i.Report Model VP3-2290 Cellular Remote Telemetry Unit is ideal for demanding remote alarm monitoring and data logging. It includes a 4G LTE cellular data modem built in. 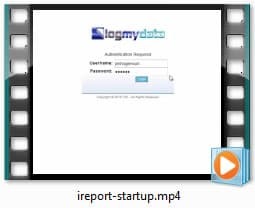 The i.Report VP3-2290 logs periodic data to the LogMyData® cloud and also sends alarm notices to the cloud. Apps running on the cloud then distribute notifications to the appropriate recipients via SMS text message, email, and/or voice call. The VP3-2290 includes 12 hardwired sensor inputs, which are universally configurable as analog, temperature (thermistor), or discrete/dry contact inputs. Two of the analog inputs have 30V input range for directly monitoring batteries. The VP3-2290 includes 8 discrete inputs selectable for active voltage sense or dry contact closure to ground. The VP3-2290 also includes 2 discrete outputs for functions such as generator start on command or local alarm indicator. The VP3-2290 includes a Modbus RTU port which may operate in master or slave mode. The VP3-2290 may poll multiple Modbus slaves to greatly expand I/O capability. The VP3-2290 may also operate as a slave allowing a PLC in a larger system to write data to the VP3-2290. The VP3-2290 also includes a CAN/J1939 port for applications such as engine monitoring. The VP3-2290 can receive any standard J1939 message, including transport protocol. 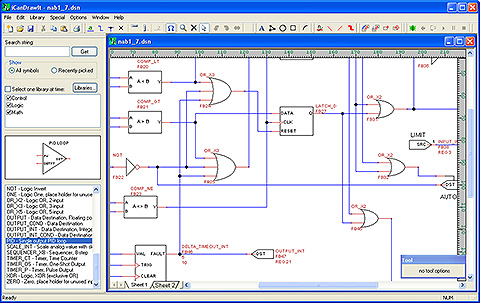 The VP3-2290 can initiate data read requests. The VP3-2290 can transmit J1939 messages sending data provided by the web portal or derived internally. Message construction is completely configurable, and transport protocol is supported in both directions. 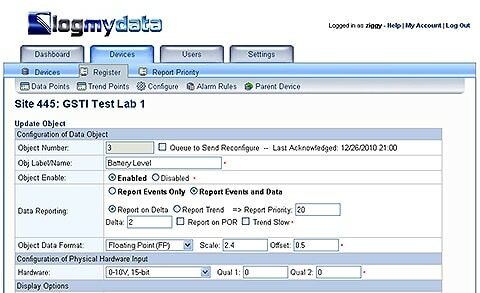 The VP3-2290 supports report by exception for alarm monitoring. Periodic data logging will occur at the rate desired, but alarms and warnings will be called in immediately. 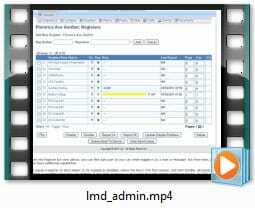 The web portal will then dispatch any number of emails, SMS text messages, and voice calls as desired. 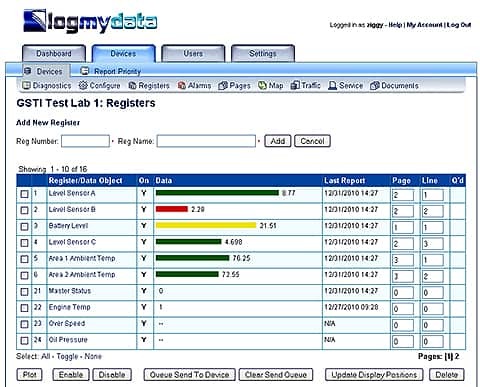 The VP3-2290 is configured over the air via the LogMyData web portal. 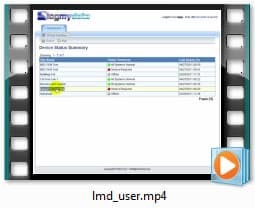 Convenient templates simplify configuration of I/O points, mapping of Modbus registers, setting of alarm limits, and assignment of notifications to users.